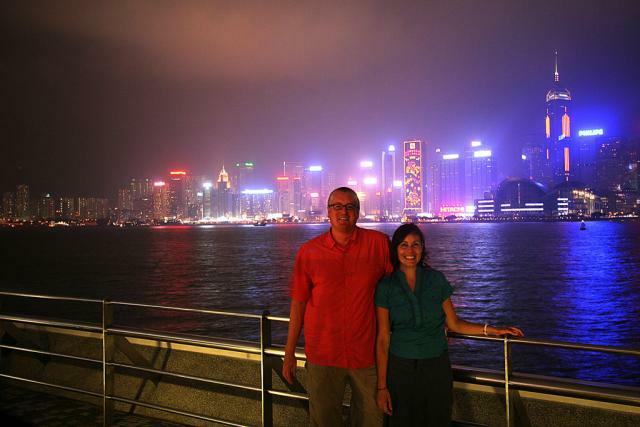 We just spent a wonderful four days in Hong Kong. Although I’ve loved nearly all of the places we’ve visited so far, this was the first one since Paris where I could actually picture myself living. It felt to me a lot like an Asian Manhattan, and I have to say, the familiarity was kind of refreshing. Our time in this British-colony-turned-special-administrative-region-of-China was a delightful mix of regular-life activities and touristy ones. We sat in the park. I went running. We saw a movie. It was almost the stuff of an ordinary weekend at home. Of course, we also made sure to do some things that were unique to Hong Kong. On Saturday night, we went out in a very popular, very cosmopolitan area that–to add some validity to my Manhattan comparison–is known as SoHo. We stumbled upon a street fair full of revelers from all over the world where vendors were peddling everything from Russian food to tarot cards. We happily let the crowd’s momentum carry us through the narrow streets and, when we got tired of all of the jostling, we paused for what turned out to be a great dinner of ribs (Derek) and crab legs (me). The next day, after an amazing dim sum brunch that warrants its own post, we took a ferry to Kowloon, the part of Hong Kong that sits on mainland China. (The rest of Hong Kong is dispersed over more than 230 islands (really! 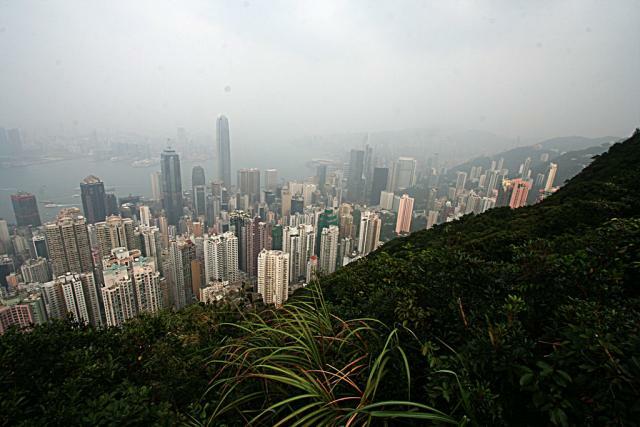 ), although Hong Kong Island, where we stayed, is by far the most populated among them.) Once the sun went down, we had an amazing view of Hong Kong Island’s technicolor skyline, which was itself enough to warrant toting our tripod all the way from Nashville! Yesterday, we took a tram to the top of Victoria Peak, a mountain that springs up right in the middle of Hong Kong Island’s urban chaos. We hiked around the peak’s summit and, despite the smog that’s all too typical in Hong Kong, got some pretty good overhead views. Our path back down the peak took us through lots of neighborhoods that seemed far removed from the normal tourist route. It was rush hour on a Monday evening, and we paused for a moment to watch all of the harried commuters and to marvel at the great freedom that comes with a year of unemployment.